Monclova Township is under the jurisdiction of the Monclova Township Zoning Resolution, which is administered and enforced by the Zoning Department (419-865-7857 or ewagner@monclovatwp.org). 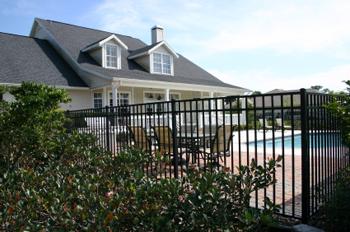 Before relocating or constructing any building, addition, deck, fence or pool, the property owner or his/her agent must obtain a zoning permit from the Zoning Office. Forms are available online. The completed application must be submitted to the Zoning Office, 4335 Albon Road, with an original signature and correct fee prior to the Zoning Department processing your application. Permits are not issued on a walk-in basis. Staff will contact you by telephone when the permit is available to be picked up. 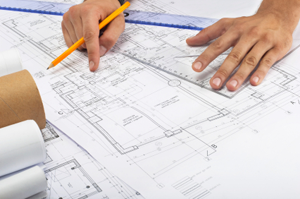 After receiving an approved zoning permit, a building permit may be necessary (Lucas County Building Department 419-213-2990). 48 hours before you dig call the Ohio Underground Protection Service (OUPS) at 1-800-362-2764. Crews will mark utility lines, gas lines, etc. to assure your safety and prevent accidents. All forms are fillable if you have the current Adobe Reader. This is a free software download available at www.adobe.com. You may choose to “Save As” or “Print” each form. Original signatures are required, therefore you must submit the form to the Zoning Office at 4335 Albon Road, Monclova OH 43542. Resolution – Click here This is a large file; please be patient. Land Use Plan – Click here 42mb This is a large file; please be patient. An application for a zoning change or text amendment can be filed with the Monclova Township Zoning Administrator on behalf of the Zoning Commission. A request is first reviewed by the Toledo-Lucas County Plan Commission, then by the Zoning Commission, both boards giving a recommendation of approval or denial. Final determination is given by the Monclova Township Board of Trustees. All meetings are open to the public and held as needed on the fourth Monday of each month at 5:30 PM. Questions can be directed to ewagner@monclovatwp.org. Applications for a Variance (from the requirements of the Zoning Resolution) or for an Exception (a use or activity not normally allowed within the Zoning Resolution) are filed with the Monclova Township Zoning Administrator, on behalf of the Board of Zoning Appeals. Board members are township residents, appointed by the Trustees, each serving a five year term. All meetings are open to the public and held as needed on the second Monday of each month at 5:30 PM.